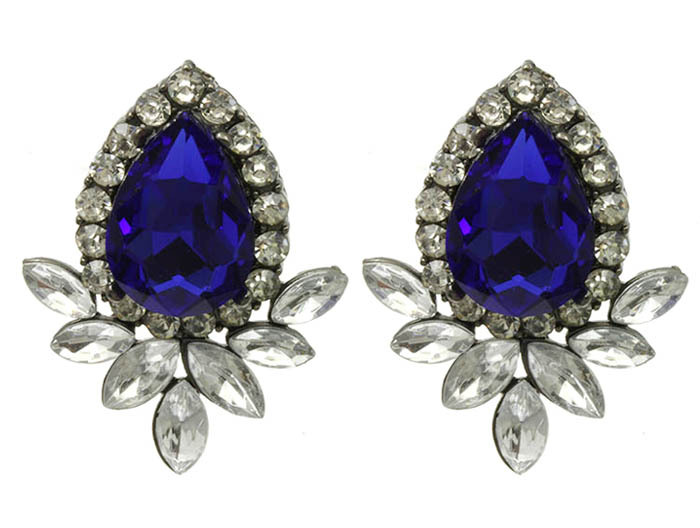 An awesome drop of sublime deep blue glimmers from the focal faceted stone of the Georgia earrings. Border-set with pavé crystals and a flourishing of clear glass beads on a post closure. The minimalist’s answer to adding colour and sparkle.